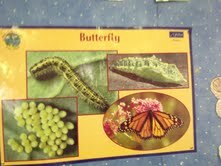 We watched 5 teeny tiny caterpillars grow into big fat caterpillars, form a chrysalis and then turn into 5 beautiful butterflies. We released the butterflies on a nice day. 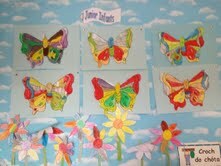 We made some fantastic art and we all the know the lifecycle of the butterfly really well! !